This new "Disguises" trailer for Hitman: Absolution takes us through many of the get-ups that Agent 47 can wear to get the job done. Most of them are for blending in to get close, but some of them have to be for fun. 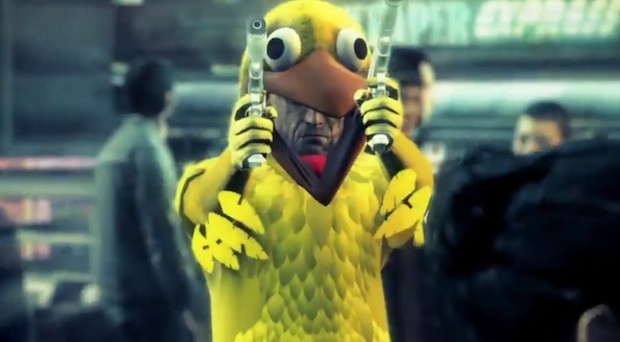 A chicken costume? What about that squirrel-looking thing? There's a quick series near the end of the trailer that goes through some really odd ones. I have to know what that cake hat is for. 47's face is so serious in all of these disguises, but you know he's quite excited on the inside. Or at least that's how I imagine it.